New Jersey is what we consider to be a progressive state for gambling. They are one of the first and only state, in 2013 to put regulations in place for online poker. That’s in addition to their live casinos and seemingly legal social game laws. Poker players should have no problem finding a poker game in this state, now or in the future. New Jersey laws state that any form of unregulated gambling is illegal gambling. So even though players can sign up to play at any US accepting site, technically, they would be breaking the law. The punishment for players is minor, though, and is more severe for operators, which includes jail time and hefty fines. 2A:40-1. [All] Except as authorized under the laws and the Constitution of this State, all wagers, bets or stakes made to depend upon any race or game, or upon any gaming by lot or chance, or upon any lot, chance, casualty or unknown or contingent event, shall be unlawful. This section shall apply to any wager, bet or stake made if any party to the transaction is present in this State when the transaction occurs, regardless of the location of any other party to the transaction, and without regard to whether the transaction is conducted in person or through a medium of communication, including but not limited to mail, telephone, television, telegraph, facsimile, cable, wire, satellite, the Internet, wireless network, or other medium of communication. That said, New Jersey signed a bill in February 2013 that would regulate online poker and make it legal for licensed casinos. The caveat to these laws is that only existing (brick and casino) owners will be able to participate. So any online poker room or casino that would want to operate within the state, would first have to buy or build a casino. This is why we’ve seen PokerStars in the news so much recently, regarding their attempt to purchase a New Jersey casino. There’s no specific law regarding social poker games. However, based on our interpretation of New Jersey’s law, so long as the house doesn’t take a rake, and the only money made is by playing against each other, then each person would be viewed as a player, and not an operator or casino. Therefore home poker games should be fine. 2c: 37-1 "Player" means a person who engages in any form of gambling solely as a contestant or bettor, without receiving or becoming entitled to receive any profit therefrom other than personal gambling winnings, and without otherwise rendering any material assistance to the establishment, conduct or operation of the particular gambling activity. A person who gambles at a social game of chance on equal terms with the other participants therein does not thereby render material assistance to the establishment, conduct or operation of such game if he performs, without fee or remuneration, acts directed toward the arrangement or facilitation of the game, such as inviting persons to play, permitting the use of premises therefor or supplying cards or other equipment used therein. Do Casinos in New Jersey Offer Poker? We receive questions on a regular basis about the legality of poker and gambling in general in New Jersey. Instead of replying to each question individually, and repeating ourselves, we thought it would be helpful to post those questions and our answers here for everyone. Will online poker be regulated in New Jersey? Technically, it already is. The statute posted above mentions the internet in terms of illegal (unlicensed / unregulated) gambling. And the bill that passed in February 2013 will allow for casinos to receive licenses to operate online casinos. It’ll take some time for the details to be ironed out, though, and for any casino to open/operate within the state. June 21st – PokerStars Fighting to Reinstate Contract – PokerStars couldn’t complete their requirements in time (per the agreement with the hotel/casino they agreed to buy), so they’re set to be out several million dollars. They’re now trying to reinstate the contract due to already giving the casino $11 million to help them through the winter months. The Atlantic Club is now trying to appeal the reinstatement, stating that PokerStars knew what they were getting into when they signed the agreement. June 15th – State regulators set June 30th as a deadline for casinos to submit their requests for internet gambling permits/licenses. Vendors that have formed relationships with said casinos will have until June 29th to do the same. 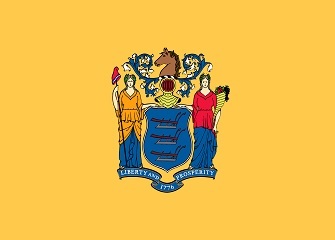 February 2013 – Governor Chris Christie passes a bill that will allow casinos in Atlantic City to operate online casinos for residents within the state. Is there an online poker room that accepts players from New Jersey? Yes, residents can sign up to play at Bovada, BetOnline and Sportsbetting Poker, just to name a few. Really, they can sign up (illegally) to any casino that accepts US customers. In the near future, once regulations are in place, licenses handed out and so on, there will be legal online poker within the state. I would guess that this happens within the next 1-2 years. What other forms of regulated gambling is offered in New Jersey? New Jersey has a state lottery, off-track para-mutual betting and charitable gaming that includes bingo, wheelchair races, Vegas nights and raffles. Where can I read more about New Jersey poker laws? Here are some facts about gambling in New Jersey that we thought you’d find interesting. One of, if not the best poker player ever, Phil Ivey, was born in New Jersey in 1976. The game Monopoly got it’s street names from Atlantic City. New Jersey voters approved legislation that would allow casino gambling in AC in 1977.